Stay away from Shaky Man. Every kid in the small town of Tonkaway, Texas, knows that. He eats little kids, murdered his wife, and mistreats his dogs, to boot. That’s what they say, anyway. Top doesn’t entirely know what to think about the rumors. He’s too busy settling into his new home, playing baseball, and making friends-like Mickey, a black boy who soon becomes his best friend of all. Everything changes when a shocking murder turns the town, along with Top and Mickey’s lives, upside down. Neighbors show their true colors. Shaky Man’s secrets are revealed. Through it all, Top learns again and again just how confusing and unfair the world can be. A tale of childhood set in the 1960s, Shaky Man timelessly reaffirms the basic goodness of humanity and the importance of friendship and compassion in the face of prejudice. You can buy a copy of Shaky Man on Amazon now. What are your thoughts about this book? Any relatable life lessons? Please leave a comment below. Also click on one of the icons below to share this page with your network. Wait . . . before you rush off, check out these free downloadable African themed word games for children. You are welcome to save and print them all. Do send me a tweet @iyayetunde1 with your completed illustrations. Take care and have a nice day . . . 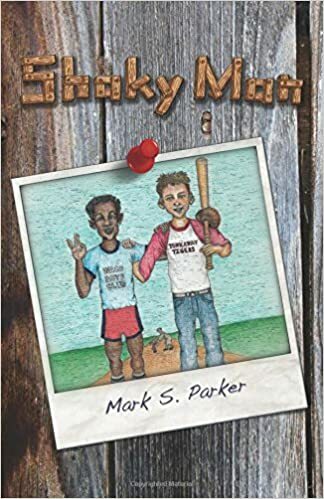 This entry was posted in Uncategorized and tagged children's books, fantasy children's book, Mark S. Parker, New Middle Grade Novel, New Middle Grade Novel SHAKY MAN by Mark S. Parker, SHAKY MAN by Mark S. Parker. Bookmark the permalink.